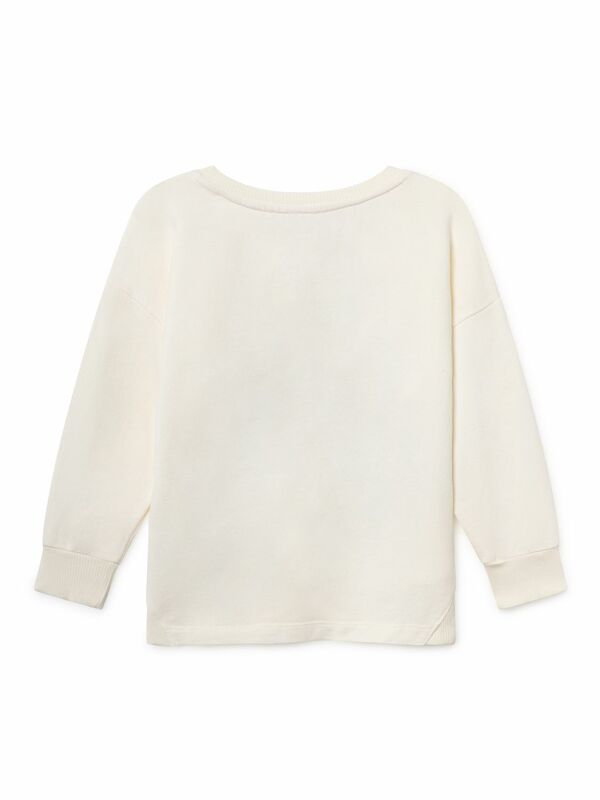 White loose round neck sweatshirt. It features our red apple and blue pear print on the front. Made locally in Spain.